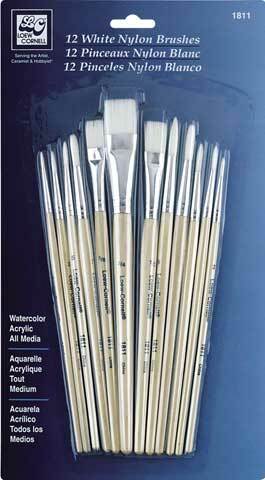 A set of 12 short wooden handled white nylon bristle brushes for use with acrylic and watercolor paints. Intended for beginning and intermediate fine artists. The set includes nine round and three flat brushes in assorted sizes.